The confirmation preparation classes started in November, meeting weekly during the term until the confirmation service in early February. 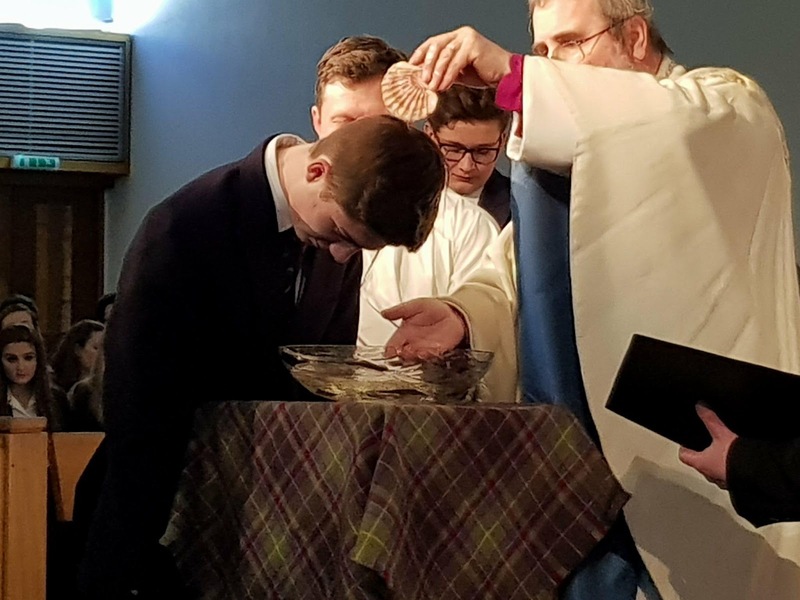 As the school chaplain, I was unsure how this process would affect the pupils, what effect it would have on them, were they there because mum and dad told them that it was the right thing to do, would the school community would accept their statement of faith. The confirmation classes were structured in a relaxed manner, with snacks and hot drinks, bible verses and open discussions. We followed themes from The Old and New Covenants to The Catechism and Creeds and from Confession and Forgiveness to The Church – Becoming a member of the Body of Christ. We took an afternoon retreat to Pluscarden Abbey for a time of reflection and meditation. The seven candidates were nervous and excited about the prospect of affirming their faith in front of their peers, parents, teachers, headmaster and clergy. One young 15 year old wanted to be baptised before taking his confirmation vows. 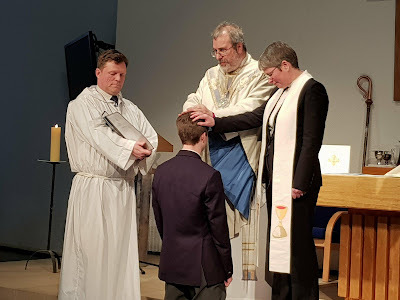 With the Primus in attendance, the service in St Christopher’s Chapel had an open invitation to anyone in the school community to attend and support the candidates. In other words, it was not a compulsory chapel service for the school. 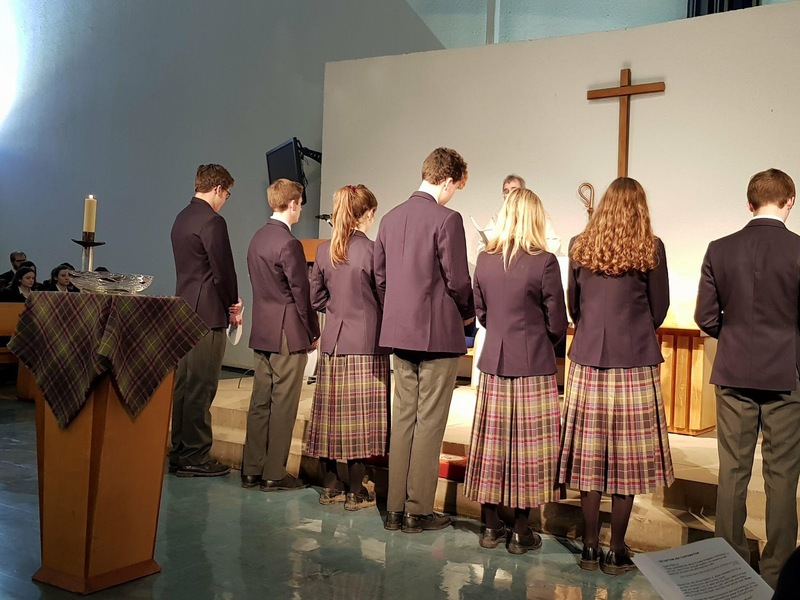 With well over 120 people in attendance, the service was fairly formal and traditionally in the school context. Again, I wondered how the school community would accept and appreciate this style of service, which was so different from the regular services that we held in the chapel. The Primus was his relaxed and cheery self, which allowed the congregation to engage with the liturgy of the service. I feel this had a profound effect on many of the young people in the service, supporting the candidates. I relate the story of one 16 year old girl, let’s call her “Sally”. Sally was there to support her friend being confirmed. Sally comes from a home that does not believe in God and she has had very little experience with the church in her young life. Sally was fascinated by the service and afterwards she approached the Primus to ask him questions. She was very interested in full immersion baptism and interested in the confirmation classes for next year. She approached me, later in the evening, to enquire how many times a year we hosted confirmation and could she please attend future classes. She has proved to be inquisitive about faith and what it means to her as a 16 year old living in the North East of Scotland. She went home and told her parents that she was going to get baptised next year. Her mum, while being supportive, was also in intrigued but her daughter’s curiosity. The mum came to see me the next morning and supportively asked about the confirmation service. She wanted to know why her daughter was now interested in religion and the church. She told me that they as a family do not believe in God, but that she wanted to support her daughter, so could I please give them more information about baptism and confirmation. Two other other families has also approached me about their children being confirmed next year, so this confirmation service has led to an opportunity for evangelism, and a chance for me to draw closer to these families. The Lord works in mysterious ways. Please pray for the opportunity that I now have with them and take heart that the Holy Spirit works in wonderful ways.